Chesapeake Bay Maritime Museum. 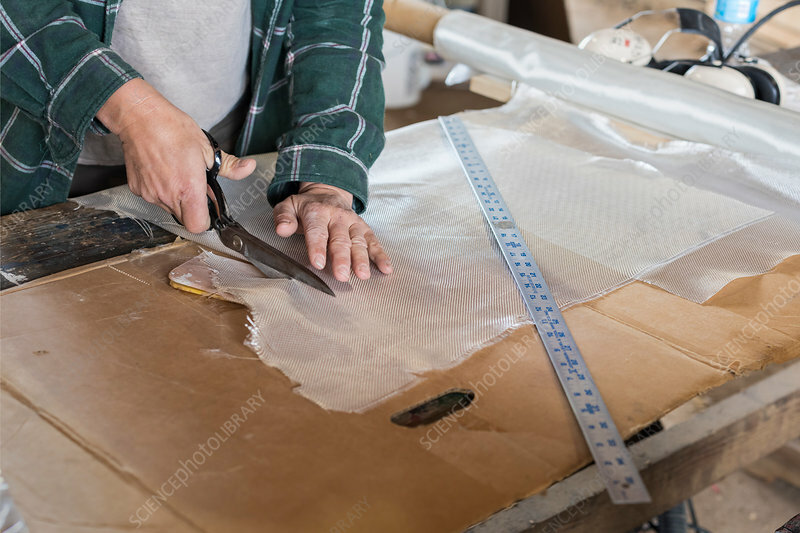 Boatyard program manager cutting fibreglass cloth for a boat she is working on in the boatyard of the Chesapeake Bay Maritime Museum, St. Michaels, Maryland, USA. This museum includes a working boatyard, an 1879 lighthouse and exhibits about living and working on the Bay. In the boatyard, shipwrights and apprentices restore and build traditional Chesapeake Bay boats.